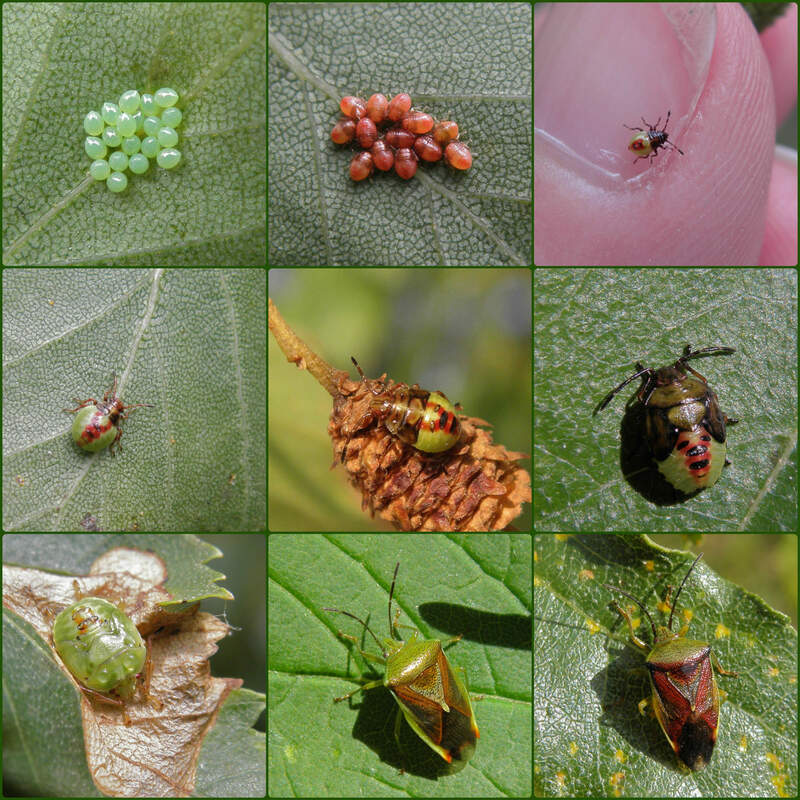 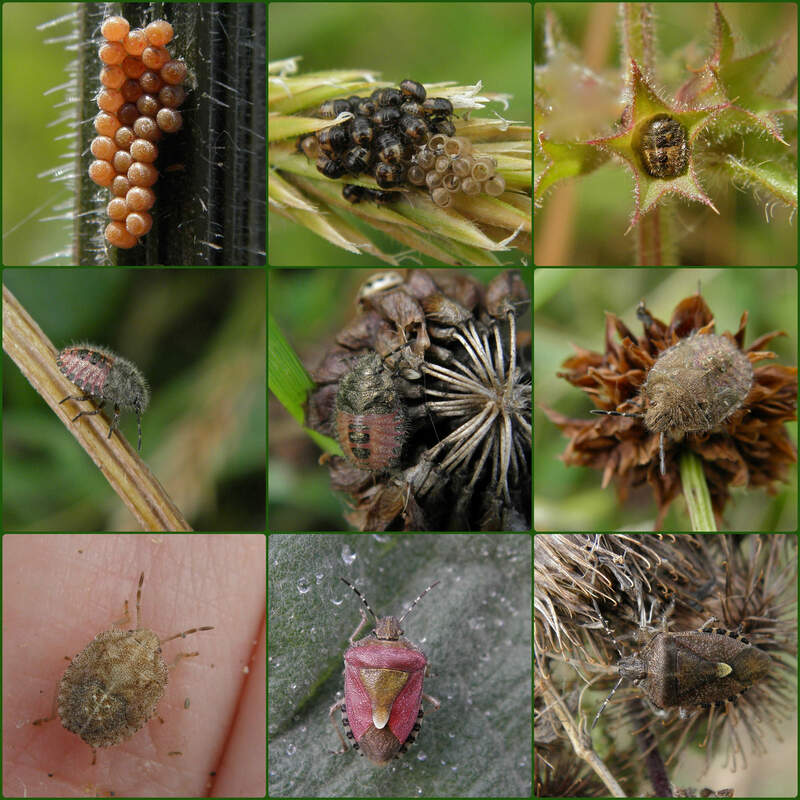 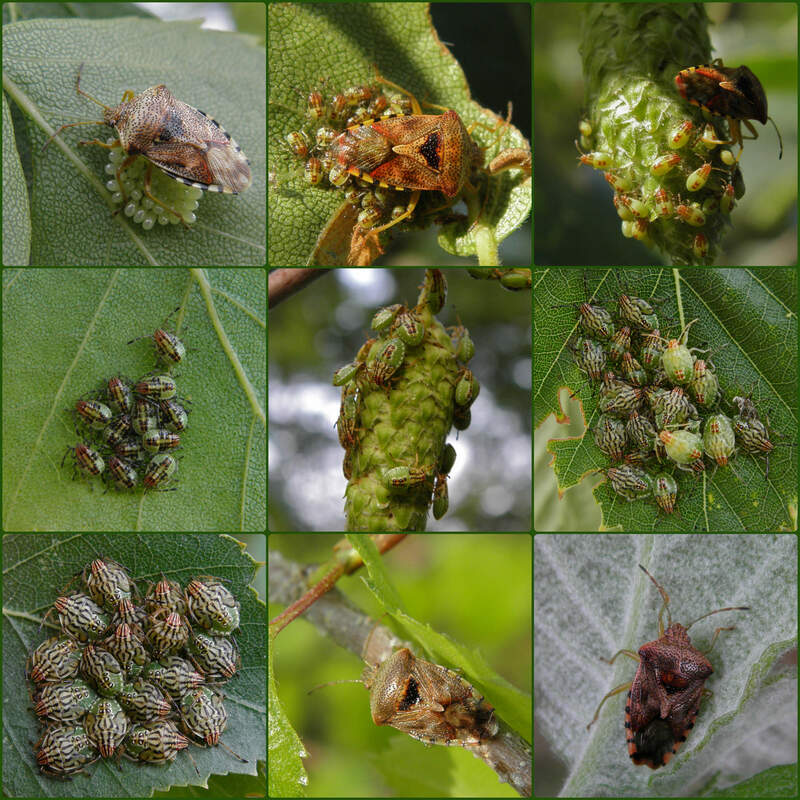 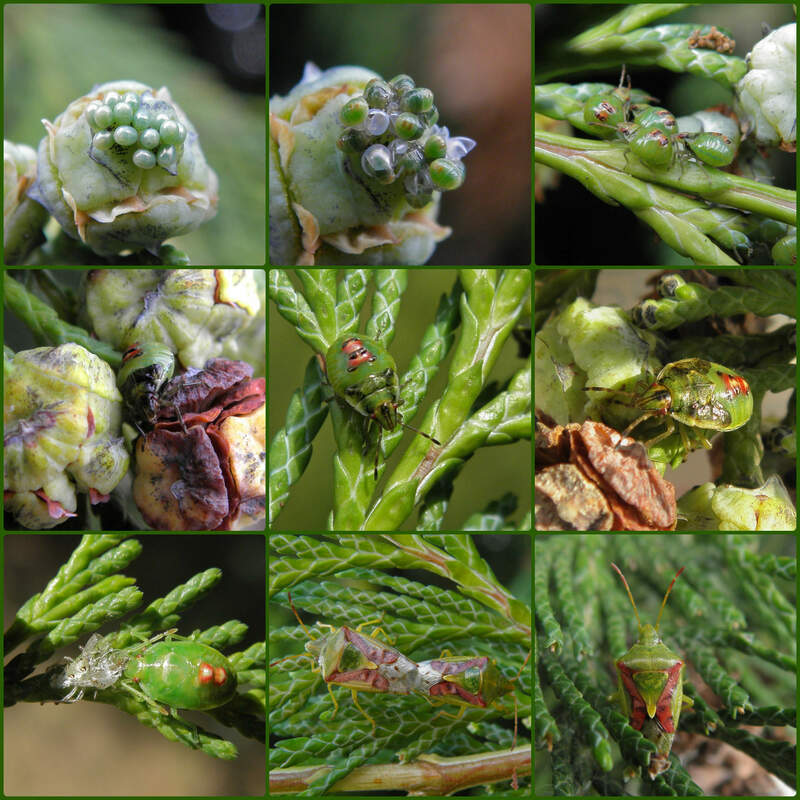 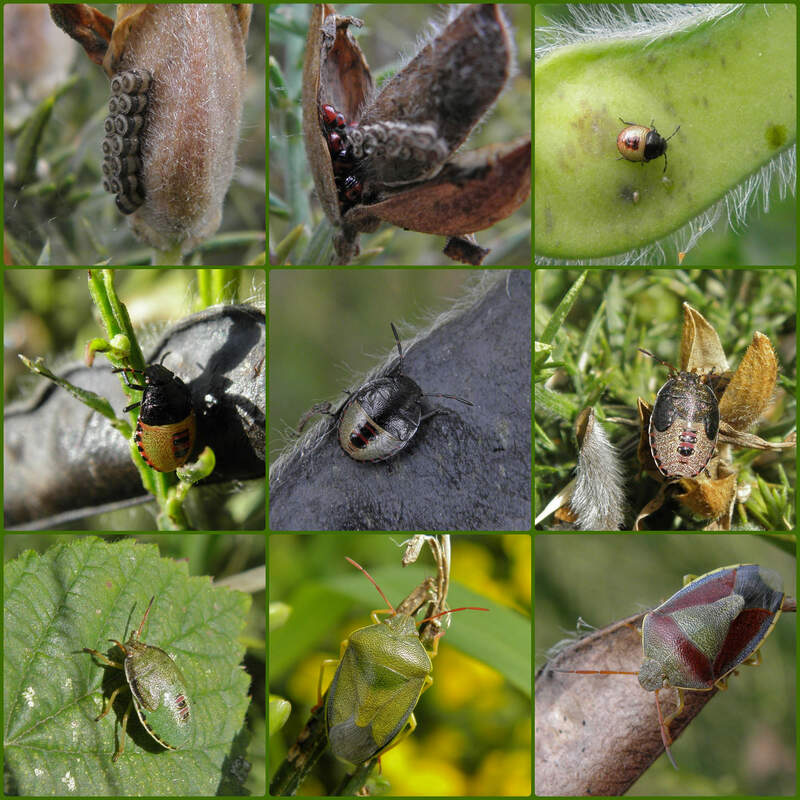 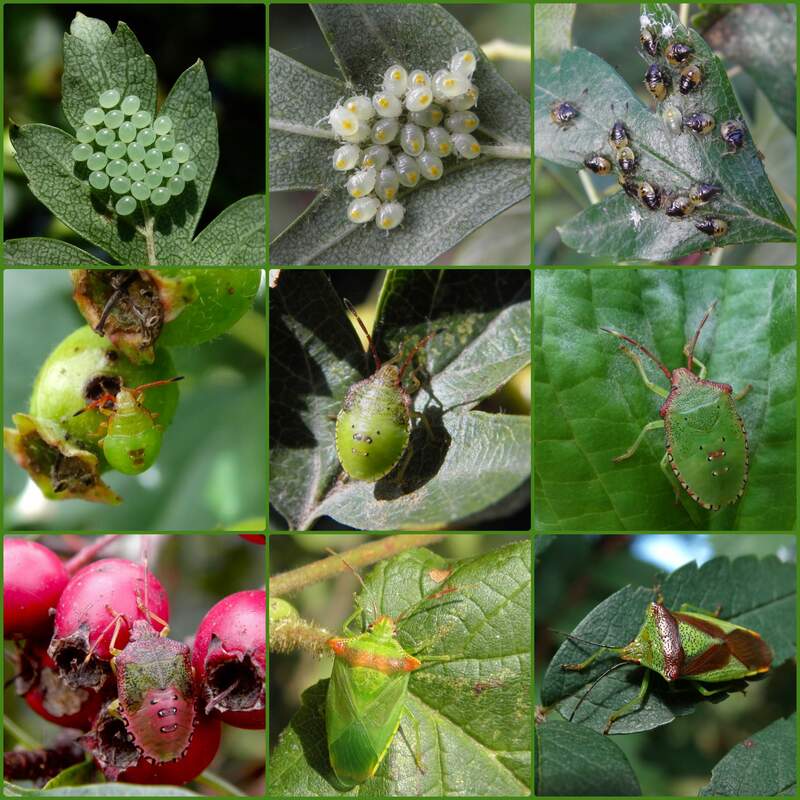 This site is simply somewhere to host the Shieldbug life stage compilations I have created, as a source of reference to anyone who might find them useful. 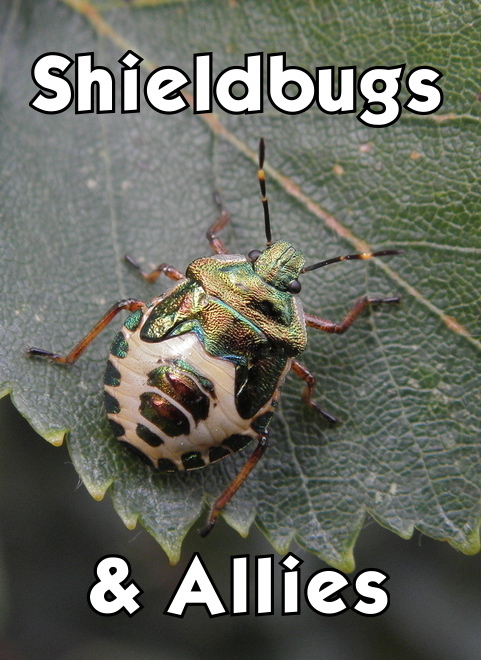 This is work in progress and will be added to, as and when possible. 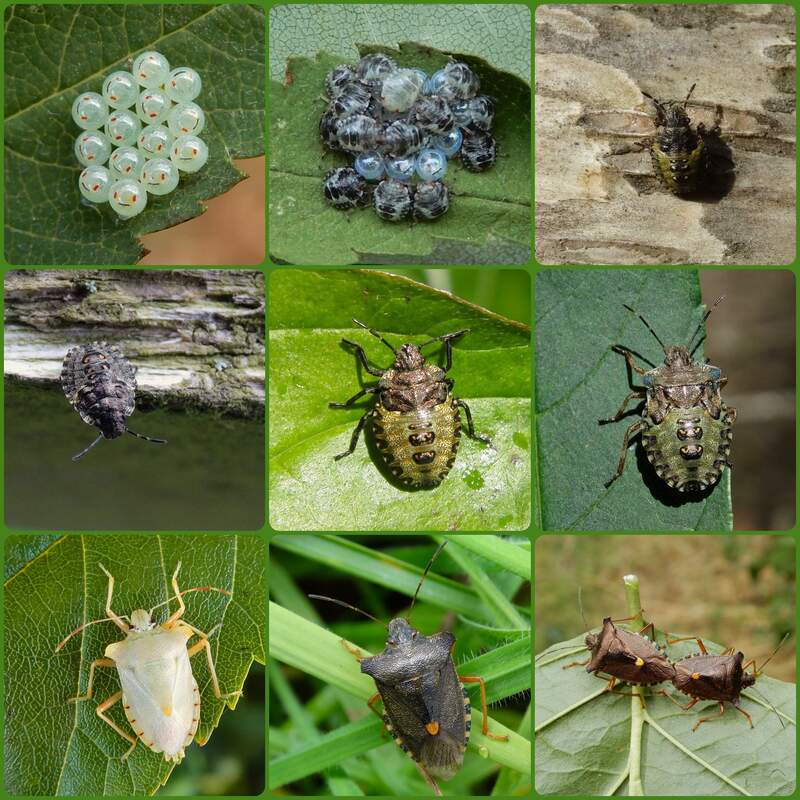 Please hover your mouse over each image to see species name and descriptions. 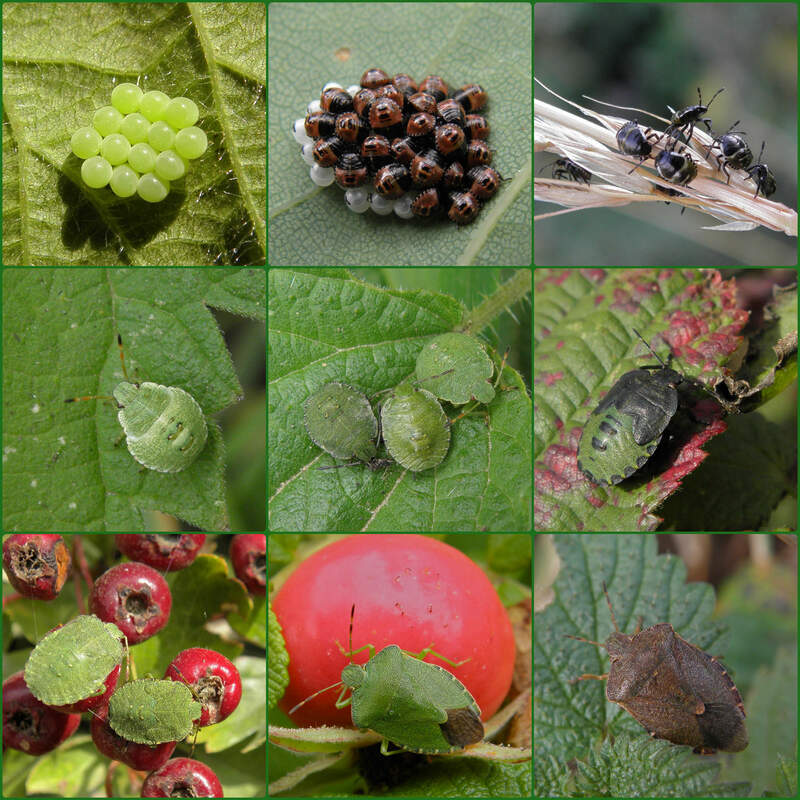 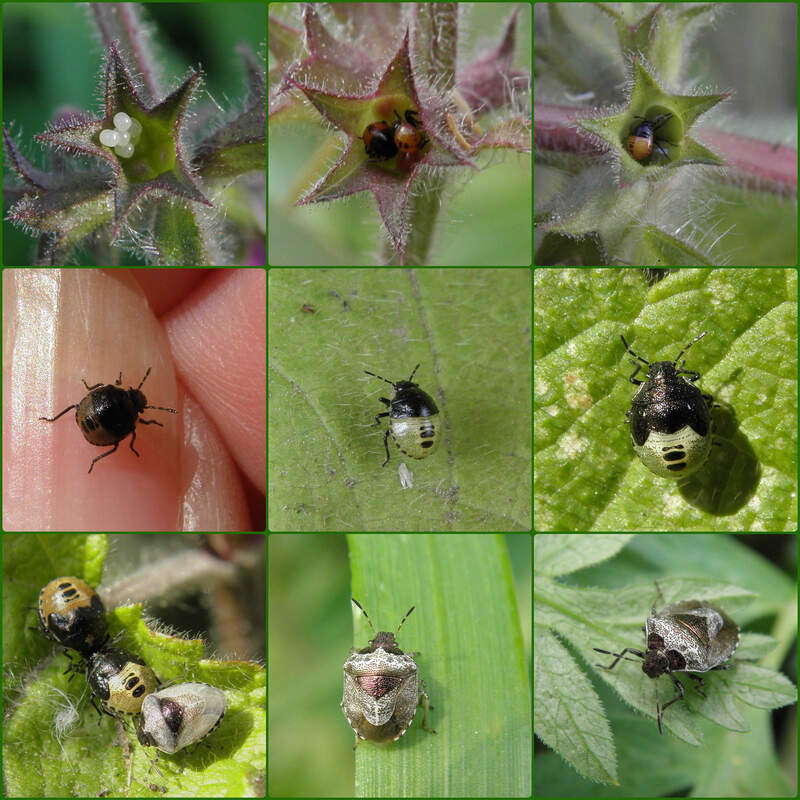 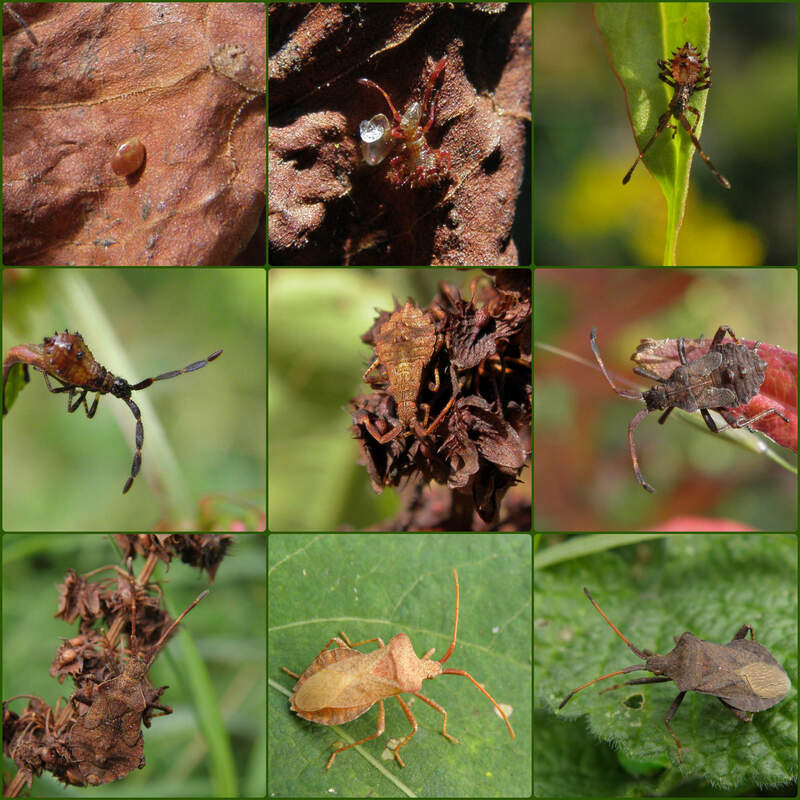 Bottom left: light form final instar, adult in spring colours and adult in autumn colours.